The companies bidding for Fisker promise to restart output of the Karma (shown). WILMINGTON, Deleware (Reuters) -- A Hong Kong bidder for Fisker Automotive has hired former Ford Motor Co. executive Martin Leach in anticipation of possibly winning Wednesday's bankruptcy auction for the assets of the defunct maker of a plug-in hybrid sports car. Leach, the former president of Ford's European business, will give added heft to the management of Hybrid Tech Holding, which will square off against a Chinese auto parts company in this week's auction. "I've been working with them for months on a business plan and they have very clear intentions," Leach told Reuters. 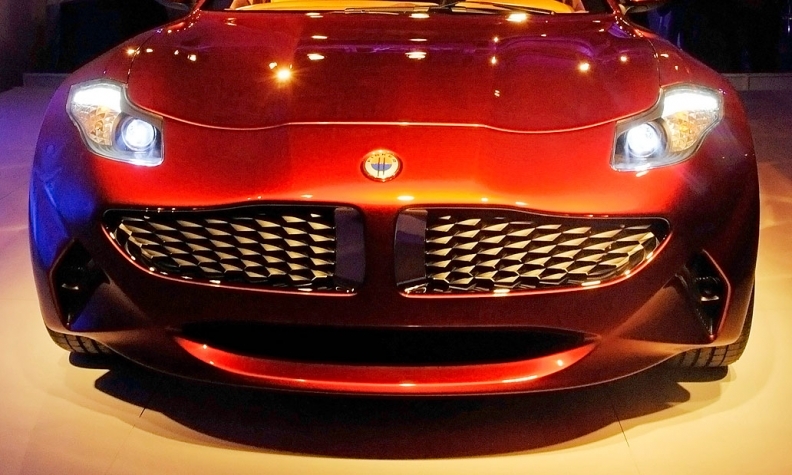 California-based Fisker filed for bankruptcy protection in November. It has not produced its signature Karma sports car since 2012 due to a series of technical glitches and a cash shortage. Hybrid, an affiliate of Hong Kong businessman Richard Li, has offered $55 million for Fisker, while a unit of Wanxiang Group has made an initial bid worth around $35 million. However, Wanxiang has proposed under its bid that Fisker creditors will receive a 20 percent stake in the new Fisker operations, and has argued it will be a better manager of the company's assets. Creditors have sought to sue Li, a former Fisker board member and investor, and other directors and insiders for allegedly causing the company's financial distress. Leach's retention was first reported in The Wall Street Journal, and making it public ahead of the auction could help counter arguments that Wanxiang has the operational edge. In addition to Ford, Leach was also the CEO of Maserati and is currently chairman of Magma Group, an automotive consultancy he founded. Leach said Hybrid's first task if it wins the auction is to look after existing owners of Fisker cars. "Then we've got more than 400 suppliers that need to be re-engaged to be able to restart production. That's a big challenge." One of its key suppliers, battery maker A123 Systems Inc, was bought by Wanxiang in a bankruptcy auction in 2012. Hybrid has said it is exploring a partnership with Boston Power to supply batteries if it wins the auction. Fisker received a controversial U.S. government loan originally worth $529 million in part to help start production at a former General Motors Co. plant in Delaware. That factory was never put into production, but both bidders have said they would consider making cars there.